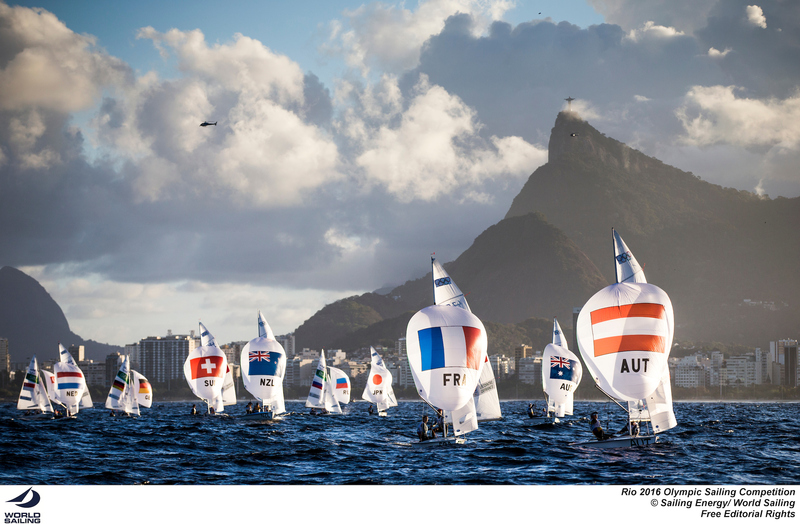 Epic medal races for the 470 Men and 470 Women brought to a climax six days of 470 Class racing at the Rio 2016 Olympic Sailing Competition. 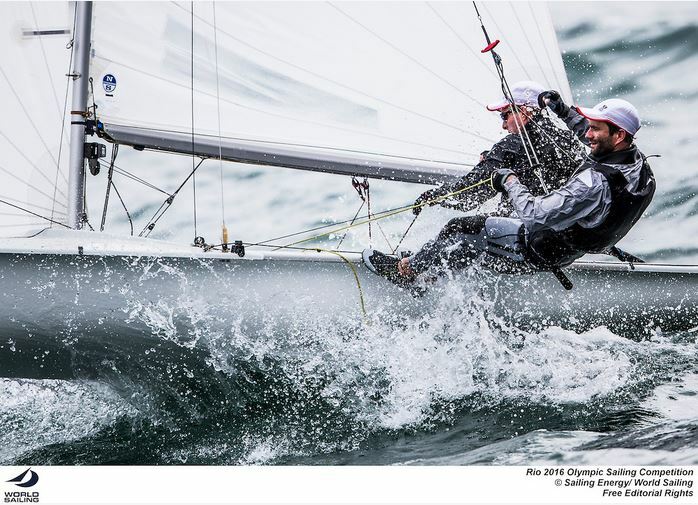 Medal racing got underway in a frisky 17-21 knot breeze, featuring plenty of leaderboard moves as different teams took the edge, and a few near-disasters on the way. 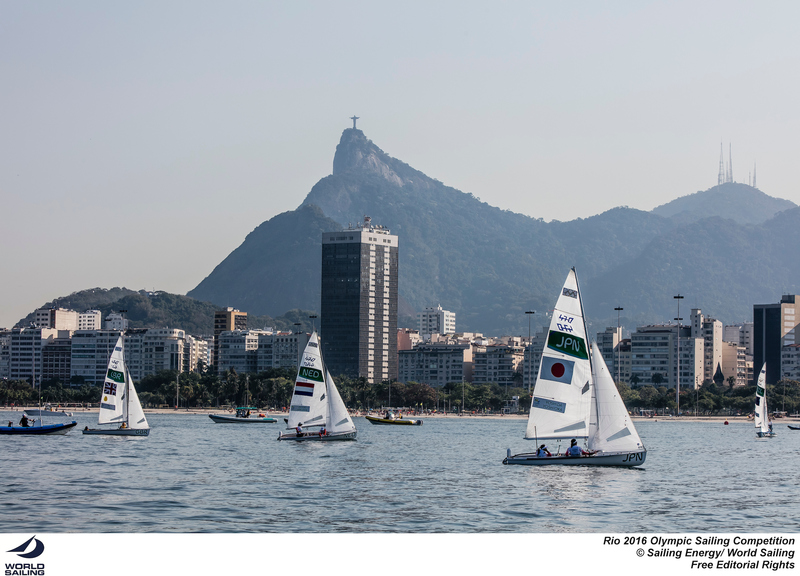 Pao de Acucar, the medal race course, positioned close to Flamengo Beach and the 396-metre tall Sugarloaf Mountain is surrounded by a landscape which plays tricks on the wind. No lead is safe, no amount of leverage without risk. The unpredictability of the race track was evident in both 470 Women and Men races, with rollercoaster position changes for some. 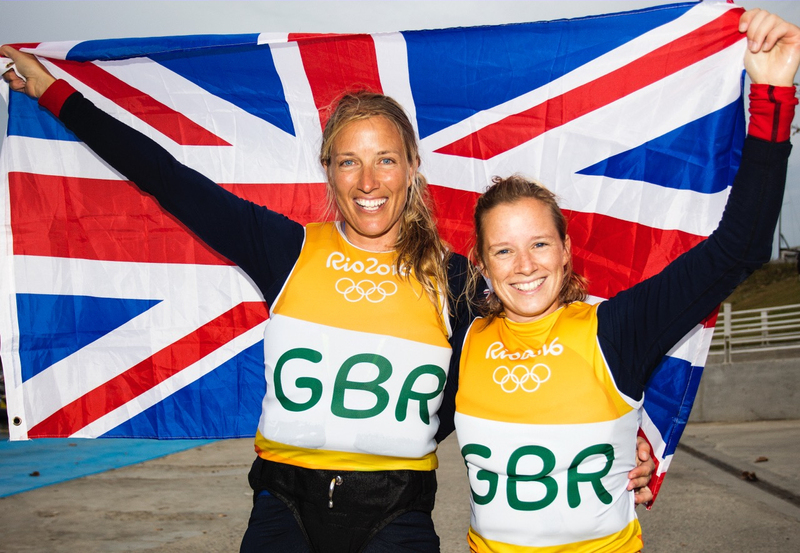 The ultimate outcome after the short, sharp 25 minute windward/leeward races was Gold in 470 Women to Hannah Mills/Saskia Clark (GBR), Silver to Jo Aleh/Polly Powrie (NZL) and Bronze to Camille Lecointre/Helene Defrance. In the 470 Men, Gold to Sime Fantela/Igor Marenic (CRO), Silver to Mat Belcher/Will Ryan (AUS), Bronze to Panagiotis Mantis/Pavlos Kagialis (GRE). 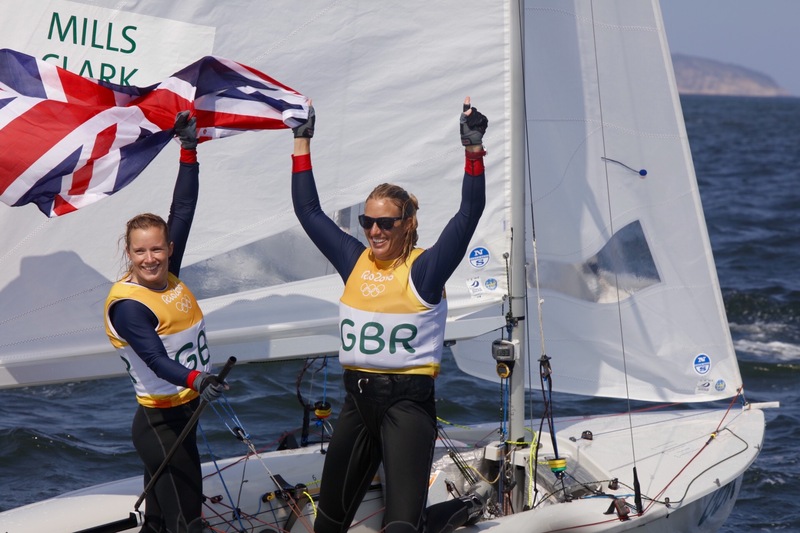 With Hannah Mills/Saskia Clark (GBR) having already won the Women's 470 gold medal, the battle for silver and bronze came down to a six-way fight between New Zealand, USA, France, Japan, the Netherlands and Slovenia. Racing in fantastic conditions of 20 knots, the 470 Women Medal Race got underway at 1305 hours. Knowing they had to avoid disqualification or race retirement to win gold, Mills/Clark sailed a safety first race, not getting involved in any start line positional jostling and sailing behind the fleet to move clear away from the line. Staying out of the pack was a tactic they continued employing for the whole race, and as they crossed the line and came ashore without incident the emotions started to pour. Mills said, “We ran down the beach. I just wanted to see my mum. She’s been here the whole time supporting me, along with my family back at home. It is just such an amazing moment to be able to share with everyone. When you’re out on the water you’re doing it on your own and it was nice to be able to come in and see everyone." Annie Haeger/Briana Provancha (USA) took up the early running and led for the first two laps, putting them in silver medal position ahead of the 2012 Olympic Champions Jo Aleh/Polly Powrie (NZL). The shifting wind produced some new race leaders on the final lap, with Tina Mrak/Veronika Macarol (SLO) streaking away to win the Medal Race. Meanwhile the battleground for the medals was changing by the moment. 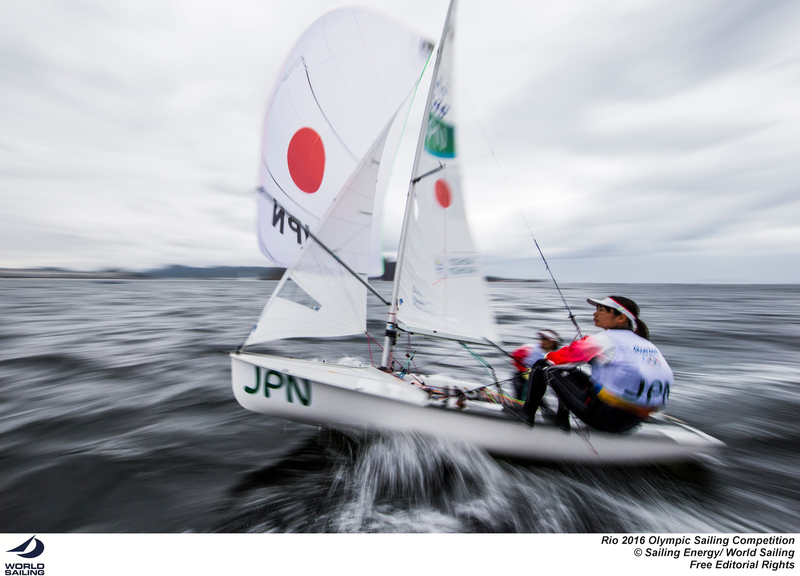 The Americans were given a penalty turn for fouling the Japanese crew which, combined with a big windshift on the final downwind leg, put them to the back and out of the medals. This left the way clear for New Zealand to take a jubilant silver medal with reigning World Champions Camille Lecointre/Hélène de France (FRA) making a late charge from the back of the fleet to finish sixth, sufficient to give France the bronze by a single point from the Netherlands crew, Afrodite Zegers/Anneloes van Veen (NED). 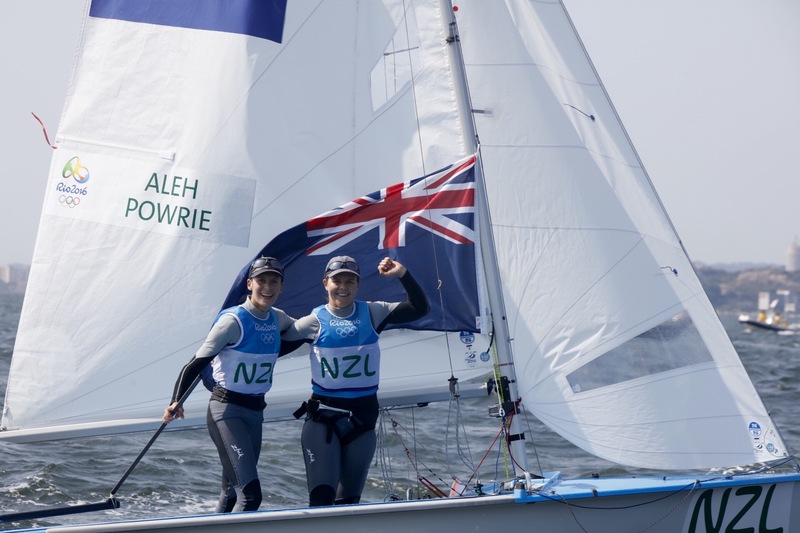 Aleh/Powrie now join an elite group of Kiwi sailors with two Olympic medals to their name. Haegar/Provancha started Thursday’s final race strong. "We had a really good first beat, and then the racing got tricky, the fleet condensed, and it got pretty close," recounted Provancha on the beach afterward. 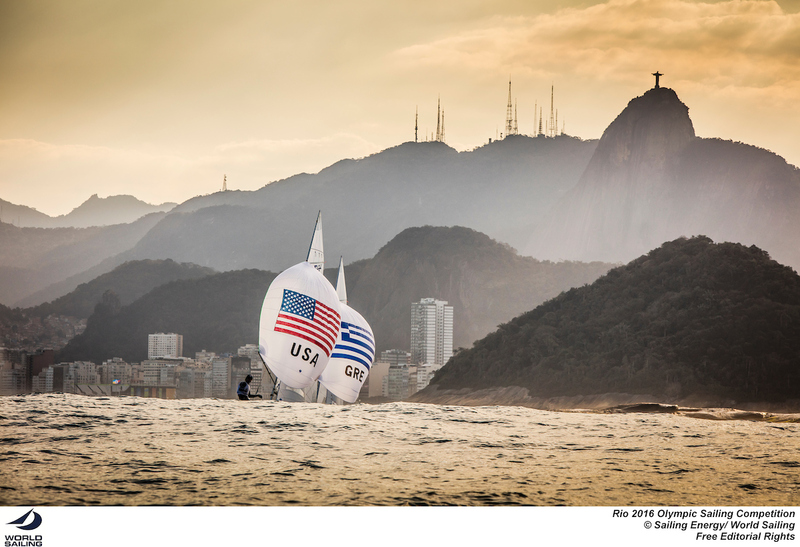 But the American pair were unable to stay out in front on the tactically unpredictable medal race course. "The wind was up and down coming off Sugarloaf and the fleet split on the second upwind leg," said Provancha. "We had to pick a side, and we went left. Unfortunately when the fleet converged again it was all one tight-knit group. 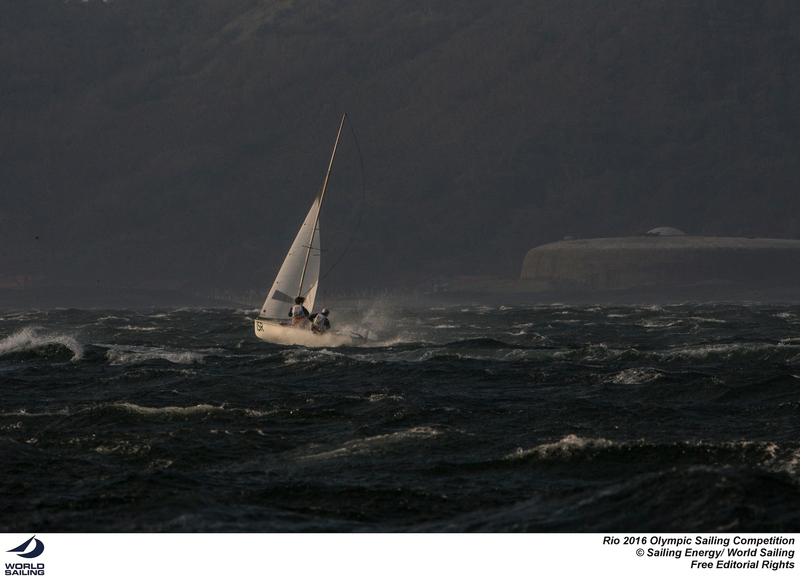 On the last run, we sailed out of the pressure, fouled a boat, and had to spin." Haeger/Provancha executed their penalty turns, and dropped to 10th place at the finish. “Obviously we're disappointed that we didn't perform today, but we really gave this regatta our all. The ending doesn't take away from how awesome the whole team has been, and our coach Dave Ullman. We fought hard, and it's just not our time right now," concluded Provancha. The top three teams in the 470 Men would all medal, but the color still needed to be decided. 2016 World Champions Sime Fantela/Igor Marenic (CRO) had the edge with an 11 point lead, and never let Panagiotis Mantis/Pavlos Kagialis (GRE) and Mat Belcher/Will Ryan (AUS) out of their sight. 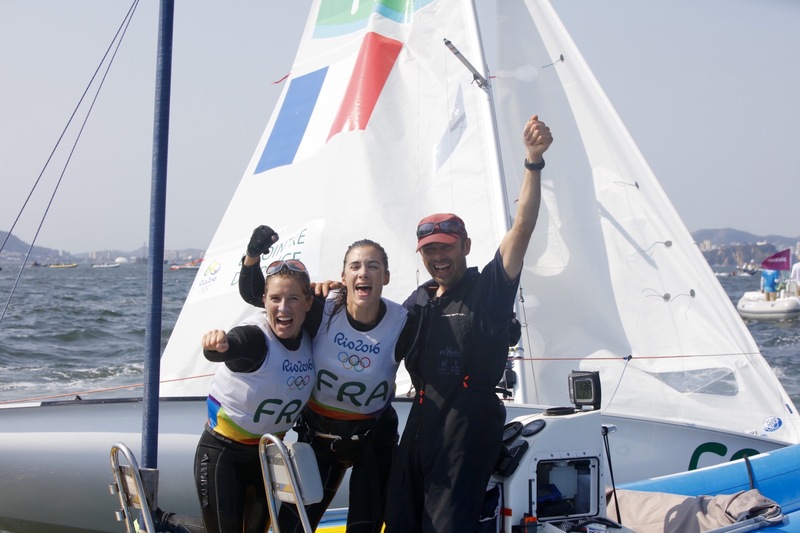 Fantela/Marenic controlled the Australians and Greeks, finishing the medal race in 8th place to win Croatia's first ever gold medal in Olympic sailing. The Croatians sailed a controlled race, making sure they stayed ahead of their rivals Australia and Greece. 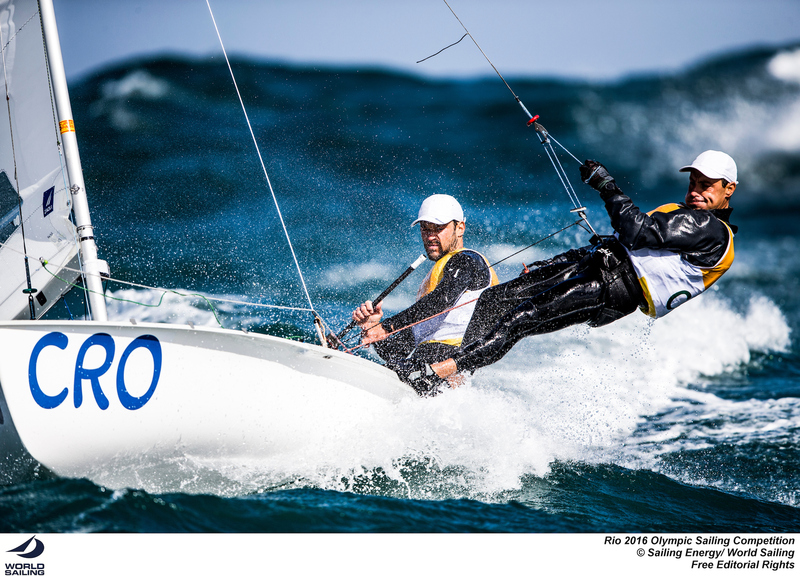 “We became good friends in the Optimist, we sailed together in four World Championships and then at the age of 15 when we had to step out of the Optimist, we had a silly idea to try 470,” commented Marenic in reference to transitioning straight to the 470 Class. “Our parents are also crazy enough to support us and I had to move from the island of Cres to Zadar. I moved into his house. I lived with a new pair of brothers and sisters, and new parents, Sime’s parents and I just have two beautiful families. Yeh and the rest is history. We are the best mates,” Marenic smiled. 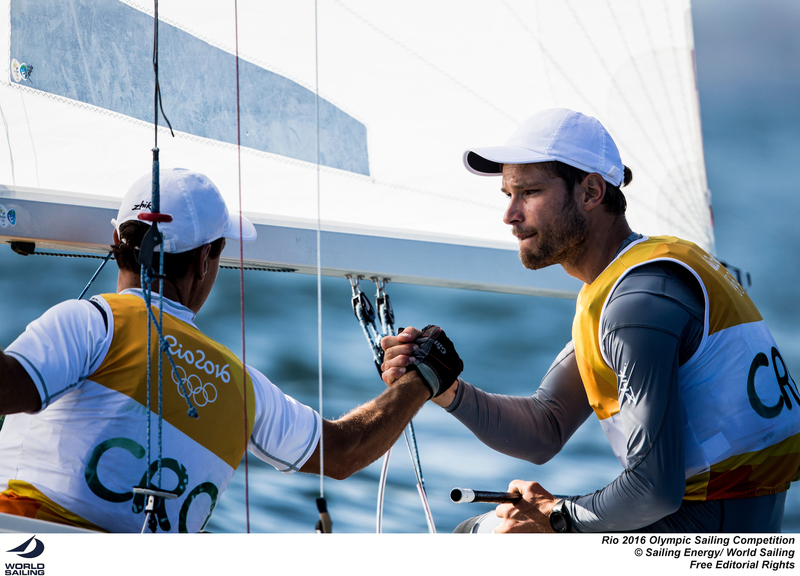 With the Croatians in control of gold, Belcher/ Ryan were more concerned about protecting the silver medal and engaged Mantis/Kagialis in a match race before the start. As the race got underway, the Swiss team streaked off into the lead, leaving the three medal contenders covering each other's moves at the back of the fleet. As the Aussies and Greeks became caught up in their own duel, Croatia's job of defending gold was a bit more straightforward. Belcher/Ryan controlled the Greeks, locking down their every turn as Mantis/Kagialis tried to wriggle free in a simple battle of whoever finished ahead would take the silver medal. Belcher/Ryan mostly had the best of Mantis/Kagialis until the top of the final windward leg when Ryan lost his footing and briefly fell overboard. The Greeks seized the moment and moved into the lead, but the Australians attacked again on the final run to the finish. 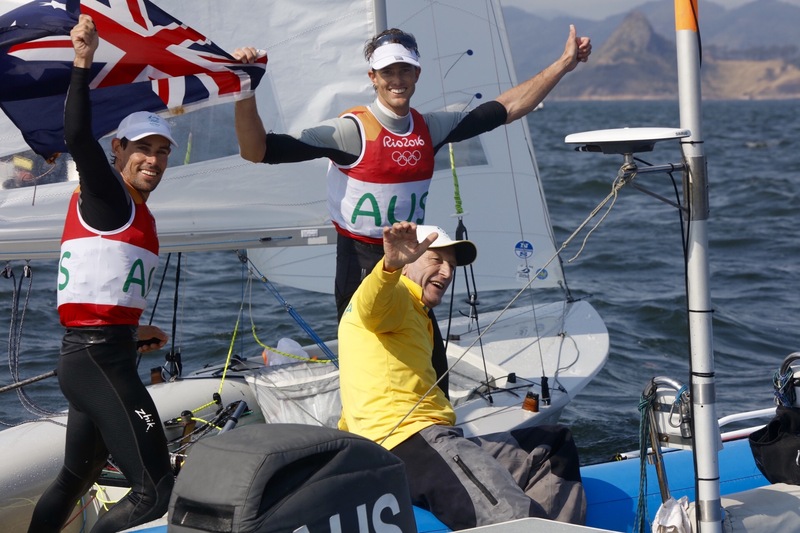 They pressured the Greek boat into making a small mistake on a gybe, and the 2012 Olympic Champion steered the Aussie boat for the finish, crossing the line just six seconds before their rivals to secure silver for Australia. “We had two goals,” explained Belcher. “To try to win the race if we had the opportunity or to control the Greek boat. It didn’t really matter where we finished – we just had to be in front of Greece. Despite being overhauled by the Australians, the Greek team were very happy with bronze after a tough series at Rio 2016. Mantis/Kagialis missed out on selection to London 2012, so walking away with a bronze medal at their first Olympics is a dream come true. Fantela/Marenić, who are from Zadar and the island of Cres in Croatia respectively, were competing in Rio at their third Olympic games. In 2008 the pair finished 9th, whilst in 2012 in London they finished in 6th place. Their victory crowns a stunning week for Croatia, the 470 Men's gold going alongside Tonci Stipanovic's Laser Men's silver just two days ago. 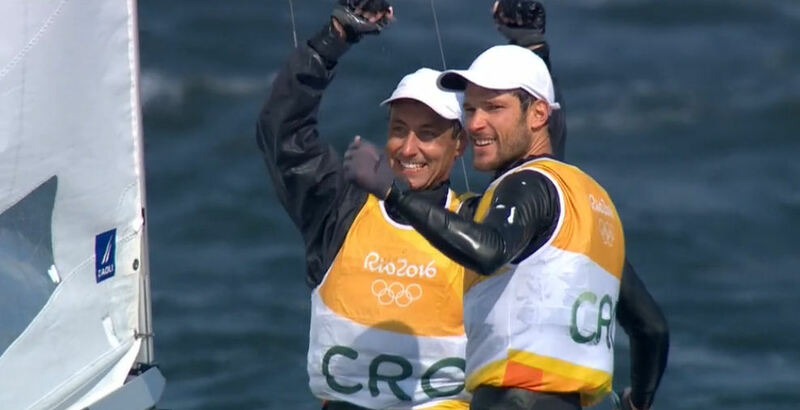 Croatia had never won an Olympic medal in sailing, now it has two. 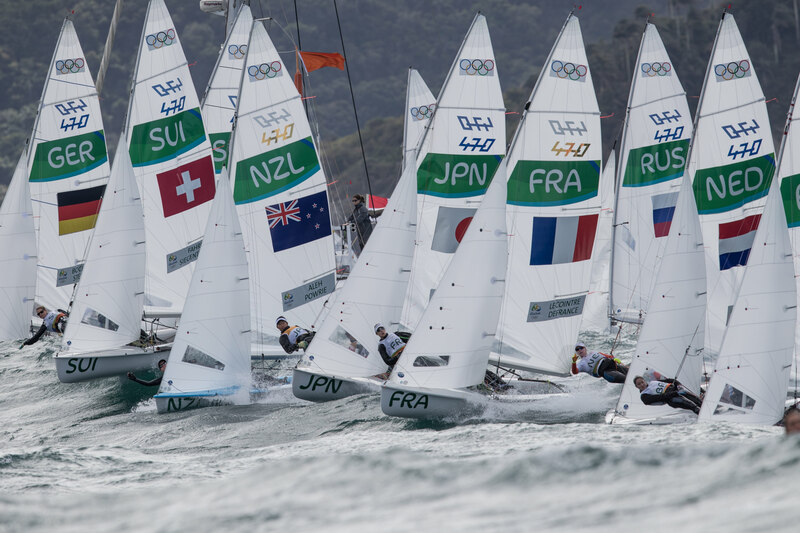 ARE YOU READY FOR THE 470 MEN AND WOMEN MEDAL RACES?